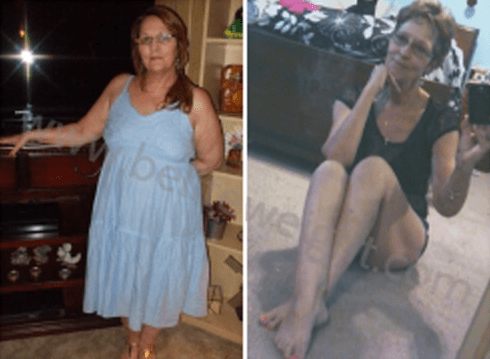 First I want to thank JoAnne (Program Director at BeLiteWeight) for asking me to write this and allowing me to share the story of my weight loss journey. A little more than a year ago (Aug. 2012), my family doctor had informed me that my health was on a downward spiral and on top of having depression, high blood pressure, IBS, arthritis and sleep apnea, I was now also borderline diabetic. Hearing this really scared me and got my attention, I knew I had to do something, and soon. I started my search for a way to loose weight that didn't include pills that wouldn't work, diet fads or unsustainable exercise programs. I logged online one afternoon and stumbled upon a link for BeLiteWeight. After reading all the information, I decided to give it a shot and fill out the information they asked for. I was shocked at how quickly Sharon, a BeLiteWeight Patient Facilitator, got back in touch with me. I was once again shocked and happy to learn that there was help for me out there. I was a candidate for the gastric bypass surgery, and my Medicare insurance did indeed cover it. This was the beginning of a journey that has brought me to where I am today. I was 225 pounds, with a BMI of 35 when I went into visit Dr. Umbach. Lisa, a wonderful and amazing BeLiteWeight patient coordinator had taken me to and from his office. After a thorough visit with this amazing doctor, my Gastric Bypass surgery was set up for Sept. 21, 2012. My surgery went well, and I was only in the hospital for less than 48 hrs. I am not going to say that it was the easiest surgery, but it wasn't as bad as what I had been afraid of. Dr. Umbach and his staff took really good care of me, and made sure I was as comfortable as I could be. He also made sure I was in good shape before leaving the hospital, and drive back home. (I lived about 3 hours away at the time). Once home, I really started my weight loss endeavor and slowly as I healed, my outlook on things and life was starting to change. My depression was fading as well as my energy was increasing. Within the next few months, I no longer was considered borderline diabetic, had HBP, had sleep apnea and was on half of the medications I was taking before my surgery. I also started to notice that my clothes no longer fit me. They were way too big and I was having to either give them away or donate them. They simply hung on me. By the sixth month after my surgery, I was down almost 45 pounds* and everyone started to really see the weight just rolling off my medium sized frame. My BMI had come down from 35+ to a low 29. Today, a year and 1 month later, I am down to my goal weight which flucuates between 135-140. My BMI is 22.6 and I am so much healthier than I have been in many, many years. I look and feel fantastic, and have to thank everyone, from the folks at BeLiteWeight to Dr. Umbach's office for helping me to acheive this goal. My journey, well it is a forever one, always changing and getting better. Thank you Again JoAnne. It meant alot for me to have shared this with you and everyone else. I hope it helps others to form their own goals around it.